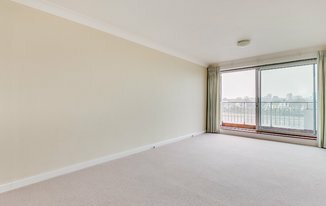 A BRIGHT and STUNNING two bedroom fifth floor apartment in EXCELLENT CONDITION throughout with PRIVATE BALCONY overlooking The RIVERSIDE. This NEWLY REFURBISHED property comprises of large living area perfect for entertainment and separate modern kitchen. Situated in an excellent location overlooking the River Thames, the vast array of eateries, shops and entertainment that Fulham and Putney has to offer. Putney Bridge station (District Line) is reached within a short walking distance which provide excellent transport links across London.